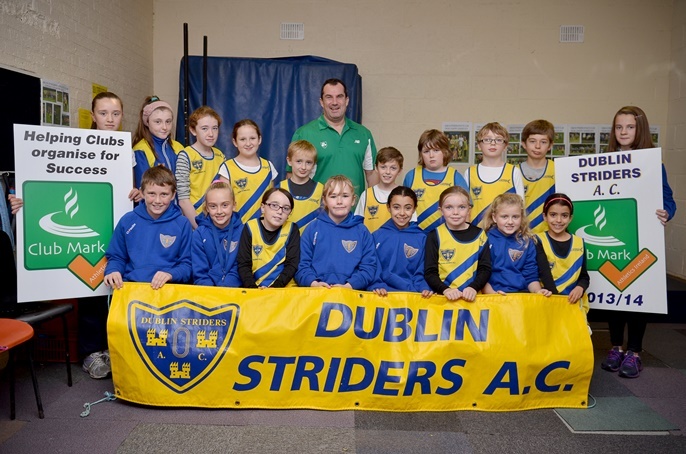 What is Athletics Ireland Club Mark? Applauds excellence in safeguarding, coaching and club management. Help clubs to understand what is required in running an athletics club. Help make our clubs safer, stronger and more successful. ;Provides an action plan for any areas that require further attention or development. Athletics Ireland will provide the support for clubs to achieve the goals set out in that action plan. Provides volunteers with a better understanding of the club management process as it maps out the key requirements for a club to operate effectively within the association. Discounts for coaching courses and sports equipment for your little athletics groups. An achievement to be proud of and celebrated by receipt of the Club Mark trophy. Demonstrates a definite commitment to developing athletics. Parents can be assured that their children are part of safe club. First appoint a Club Mark coordinator in your club who will complete the online Club Mark workbook (link). 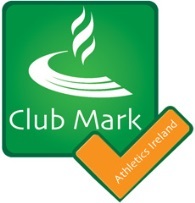 When your submission is approved your club will be awarded the Athletics Ireland Club Mark. Accreditation will last for two years before clubs will be invited to update their submission for review.